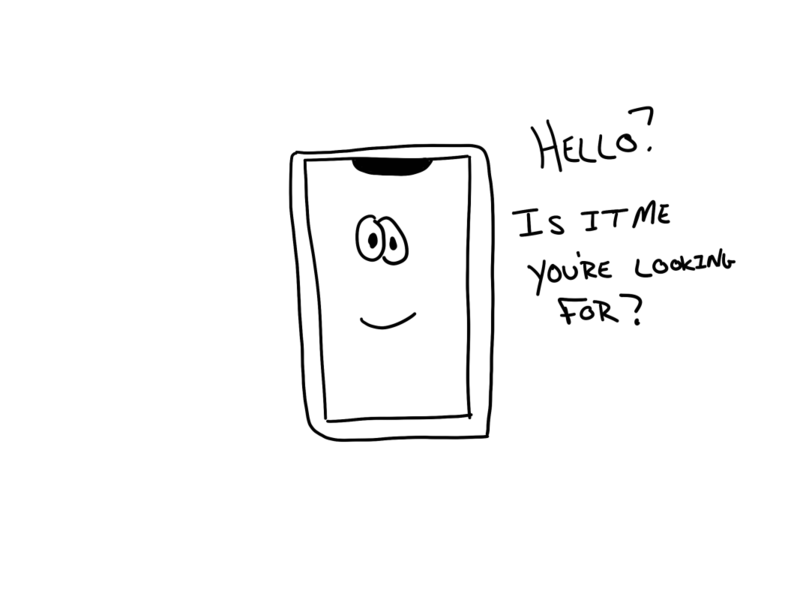 I'm a professional developer of applications for mobile devices. As such, it is my solemn duty to test any application I develop to ensure it works in the field. My professional reputation is at stake after all! 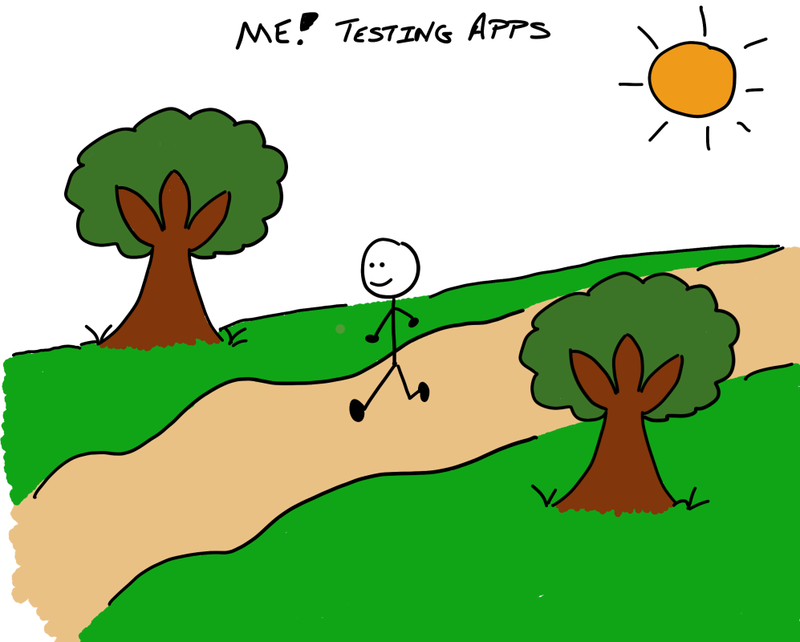 This is why each and every day, hour after hour, unfailingly you can find me testing my apps. I test them at hip cafes for breakfast. I test them while taking long walks in the park. I test them during 3 hour lunches at the new restaurant down the block. But my favorite place to test apps is on the commute to the movies. I don't have time to see garbage movies (I'm too busy testing my apps, lol 🤣) which is why I created a sweet app that shows me movie reviews! In this article I'm going to show you how I built a Xamarin.Forms app that displays movie reviews downloaded as documents from Azure Cosmos DB. Here's the fun part, this app also makes use of Cosmos DB permissions and an Azure Function to only show premium reviews to logged in users. Our app is going to display two types of movie reviews. One is a public review and can be viewed by anybody. The other is a premium review and is only viewable by people who have created an account and have logged in to the app. There's going to be 3 pieces of the puzzle to display the reviews. The first will be Azure Cosmos DB, which will hold the movie reviews as documents. The second will be a Xamarin.Forms app (though this could be a web app too) which will directly query Cosmos for data and then display it (and also take care of logging users in). Finally, there will an Azure Function that I'm going to call a Permission Broker. The app will invoke this HTTP triggered function to get a token (think of it as a credential), that will be used to access appropriate movie reviews in Azure Cosmos DB. Let's start with Azure Cosmos DB. How is the movie review document structured? Glad you asked! That document is going to have the same schema whether it's a premium review or a public one. The isPremium field will indicate whether a movie review is a premium one or not. All of the reviews will reside in a single collection. There will be a partition on that collection - and that partition will be on the isPremium field. With the database setup out of the way, let's take a peek at the app. We're going to use the Azure Cosmos DB client library to have a direct connection between the app and Cosmos DB. Because the app will be talking directly to the database - it will need login credentials. But... hard coding login credentials is... kinda dumb. Don't hard code login credentials in your app. It's a dumb idea. Instead of holding credentials within the app to connect to the database. The app should ask another party - or a permission broker - for a login token. It can then use that token to make a connection to the database, and that token will grant access to only the records that is needed. The beauty of this method is - the app really doesn't have to do anything different on its end to handle the records for the public or premium scenario. The login credentials - or token - will signify to Cosmos to only return the records the app has access to. Let's recap where we're at so far then. We have an Azure Cosmos DB instance that holds movie review documents in a single collection that is partitioned based on a boolean field in those docs. We have a Xamarin.Forms app (though it could be any app that displays data) that wants to get those movie review documents from Azure Cosmos DB - but doesn't want to maintain a hard coded connection string. Oh - and in this case it only wants access to the appropriate documents based on whether a user is logged in or not. The permissions broker holds the keys to all the movie reviews. 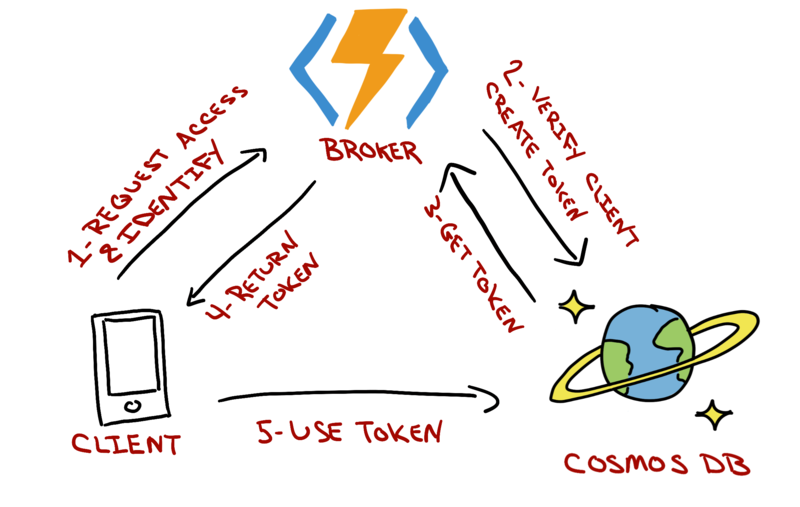 The broker will connect to Cosmos with superuser rights and generate tokens that have access to either public movie review documents or public + premium movie review documents, based on whether an incoming request is authenticated or not. 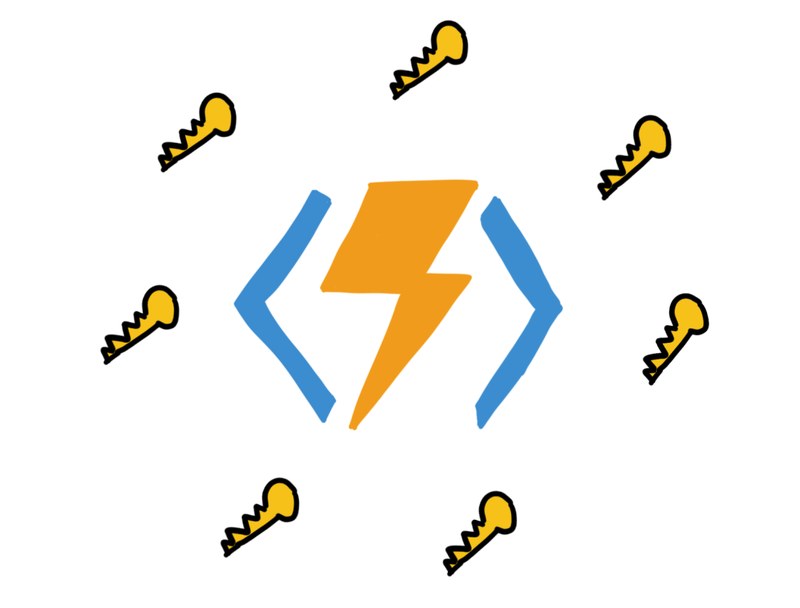 It returns that token to the caller - and then that caller is free to initiate its own connection directly to Azure Cosmos DB, using the token as its credential. Thus ensuring it only has access to the appropriate documents. 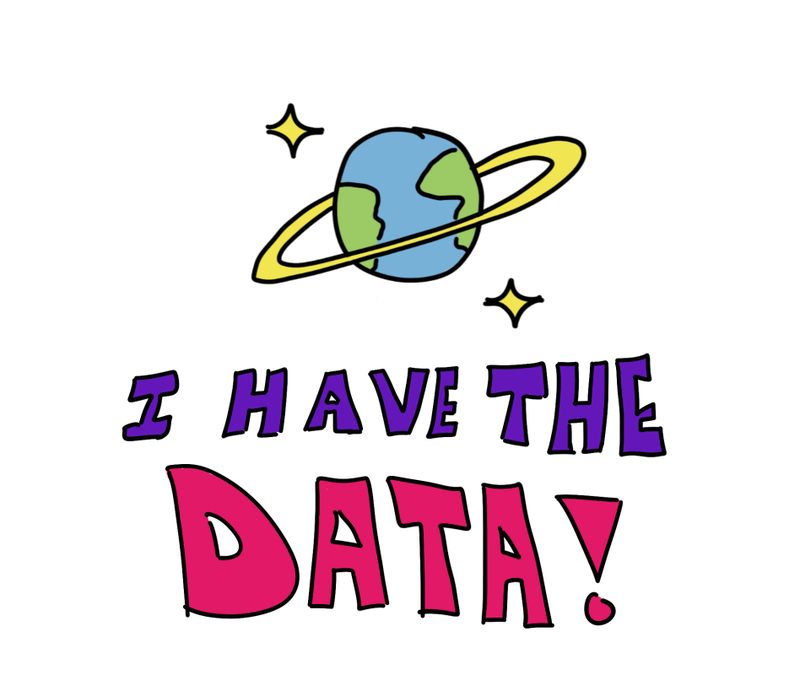 So remember, we have an Azure Cosmos DB with a single database and a single collection. It holds one type of document and is partitioned by a boolean field on that document. We want our permission broker to return a token that gives access to either public or public + premium documents, based on whether the user is logged in or not. 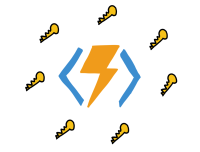 Our permission broker is an Azure Function. It's going to check whether or not a request is authenticated. Based on that, it's going to generate an Azure Cosmos DB permission for the incoming user. That single permission is going to grant access to all the docs the user needs. This Azure Function is triggered by an HTTP request. That's cool - as you'd expect. It also is using an Azure Cosmos DB input binding. This way we don't have to maintain the connection to Cosmos ourselves. We'll let the Function runtime do it for us, and it will hand us an initialized DocumentClient object that's already attached to our database and collection. Then it generates the correct Cosmos DB Permission. Finally it returns the token (a string) for that permission. This is the heart of it all. It's here that we ask Cosmos to generate a permission object to certain resources (movie reviews). If you remember from the previous article on Cosmos Permissions - you can think of a Cosmos user as an abstraction for a set of permissions on a resource. In other words, a Cosmos user is a grouping of permissions, so it stands to reason that each permission for a user needs a unique ID. So when we generate / retrieve the permission - that's the first thing we do. We decide on the name format and set it. By having the permissionId set - we can then ask Cosmos to retrieve it for us. Since every permission for a user in Azure Cosmos DB has a unique name, we can create an Uri for it and then have the DocumentClient try and read it out. All operations against Cosmos are REST based, so if either the permission doesn't exist yet - or the user doesn't exist, we'll get a 404 error. After trying to read the permission, we want to catch a DocumentClientException and then check its StatusCode property to see if it's equal to a HttpStatusCode.NotFound. If the status code is NotFound - we're going to try and create the user in Cosmos. The pattern here is the same. Use the DocumentClient to see if the user already exists. If not, catch the 404 and create it. Then after the CreateUserIfNotExistAsync function returns, we finally get around to creating the permission! This permission is for read-only. It has the Id we created above. And the ResourceLink is pointing to the entire collection where we're hosting all the movie reviews. We're about to return a permission for the entire collection?!? Granting whoever calls this function full read access to the entire collection?!? This is why I was making such a big deal about having the collection's partition key in place before! And return it to the Function's calling code. The hard part is over ... creating the permission broker Function. All we need to do now is invoke it before we instantiate a DocumentClient on the Xamarin.Forms (or any client) side. ...is code you would use to make any normal HTTP call. Note that I'm passing in an accessToken parameter. This is an access token obtained by calling out to Azure AD B2C (beyond the scope here, but check out this series and the code to find out more). Once the Cosmos DB token is returned, we use it to instantiate the DocumentClient object. This then limits our client's permissions to whatever that token will allow it to do. Note that the FeedOptions object has been primed to have a PartitionKey in it should the user not be authenticated. This way it only is looking at public reviews. Otherwise, the code handles public or premium reviews in exactly the same way! It was quite the journey we went on to get here ... Azure Cosmos DB, Permissions, Azure Functions, watching movies when we should be working, Xamarin.Forms, authentication... wow! What it all comes down to though - you do not want to have a connection string to a database in any client application ever. Rather, leave the connection strings up in the server where they can be properly guarded (and ideally in Azure Key Vault to be even safer). But not having the connection string on the client doesn't mean you can't do direct communication to the database however ... you can use tokens! And you generate those tokens through a permission broker. 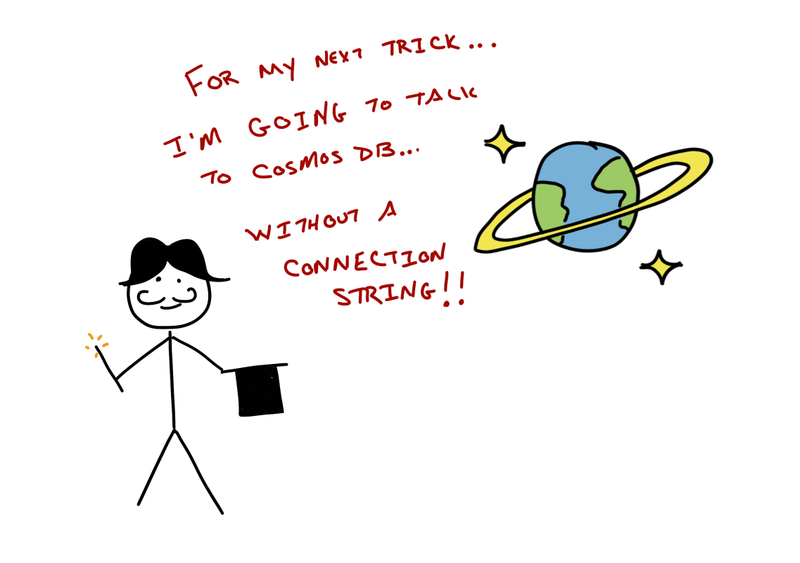 The permission broker gets asked by a client for some credentials to Azure Cosmos DB. It then talks to Cosmos DB, gets the exact permissions to what it needs to, then returns those permissions to the calling client. And there you have it - a movie review app that only returns premium reviews if the user is logged in. And it doesn't have to maintain any connection strings or do anything else special to do so!